At Hotel Colorado, we invite you to step back in time and enjoy life at a slower pace. We are proud of our more than 125 years of service and of helping guests create lasting memories. When this historic hotel was built in 1893 by Walter Devereux - a silver baron and one of the early settlers of Glenwood Springs - the west was booming. The promise of a fortune built on gold and silver mining was tantalizing for thousands, and those with an adventurous spirit were moving west to explore a new way of living, far from the confines of bustling cities. 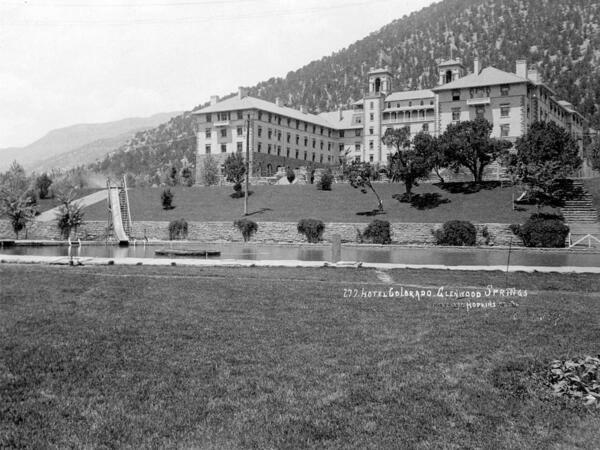 Glenwood Springs, notable for its healing hot springs, was brimming with potential as a destination for travelers and locals alike - and early settlers capitalized on this potential. 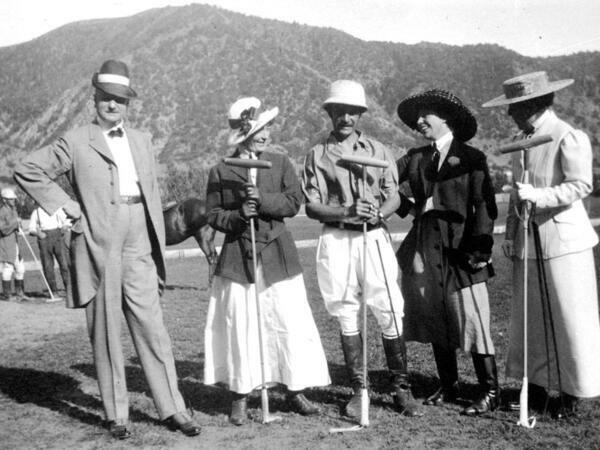 Devereux sought to attract the wealthy and elite to his “Grande Dame,” as Hotel Colorado was fondly called at the time. 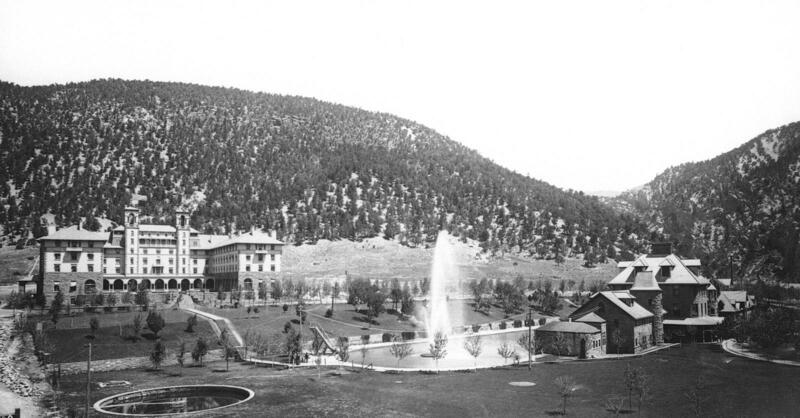 A 185-foot tall fountain of water marked the center of the courtyard, and a European-style spa was an attractive draw for health-seekers during the early years of Hotel Colorado. No expense was spared in the construction of the hotel, which included amenities and attractions like tennis courts, a Victorian garden, a bird sanctuary, and a stunning indoor waterfall. The hotel has been used as a temporary White House, as a place of healing for the U.S. Navy during the World War II years, and a community focal point from its inception. Ownership changed hands frequently until the early 1990s, when the hotel was gradually restored to its former glory. Today, Hotel Colorado is a beautiful step back in time, inviting you to enjoy the cool mountain air, healing hot springs, exceptional service, and memories made with your loved ones. We look forward to our next 125 years of providing legendary hospitality. Despite the fact that Glenwood Springs is nearly a thousand miles from the nearest ocean, the hotel was leased to the United States Navy for use as a hospital. Named the US Naval Convalescent Hospital, it was commissioned on July 5, 1943 and served patients until the end of the war. By the time it was decommissioned in 1946, over 6,500 patients had passed through its doors. According to Bill Kight, Executive Director of the Glenwood Springs Historical Society, the hotel wasn’t just a hospital. 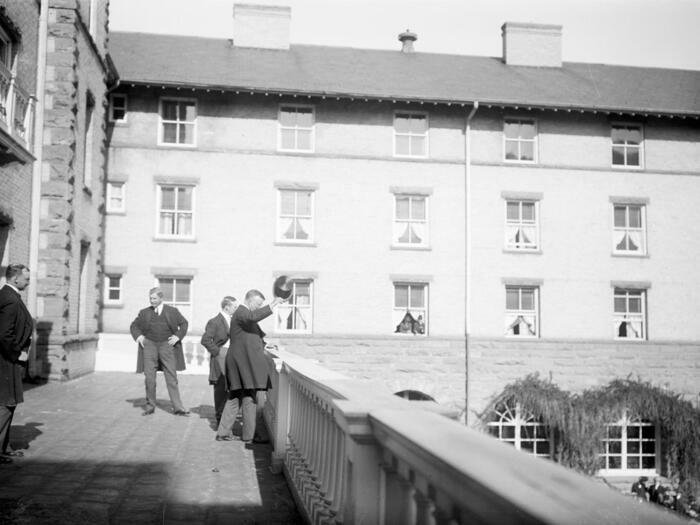 A quirk in naval law requires that any location where sailors are stationed also requires a naval prison known as a brig, and the Hotel Colorado was no exception. A room in the basement held eight prisoner cells, only five by seven feet. All evidence of the brig is now gone, but some Glenwood Springs residents claim that the bars were in place as late as 1974. Many presidents have visited the Hotel Colorado. On September 23, 1909, President William Howard Taft arrived in his private train car. He was presented with wild raspberries and mountain trout for breakfast and shown the vapor baths and pool. A parade of carriages carried Taft and his party to Hotel Colorado. When offered exclusive use of the Hot Springs pool, he declined saying, “I’ve found it’s much better for a man of my size not to bathe in public.” After breakfast, he spoke to 700 people from the Hotel’s “Roosevelt” balcony. Rising quickly to wealth as a result of her husband’s abundant gold strike, Molly Brown visited the Hotel Colorado to enjoy one of society’s favorite playgrounds. 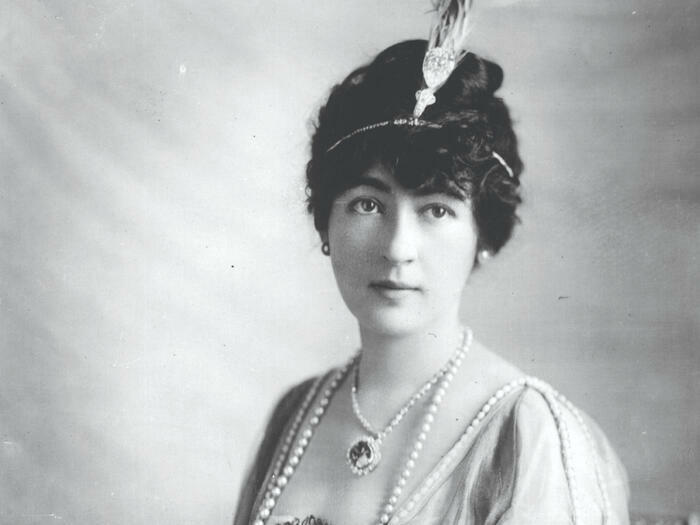 Today, one of the Hotel’s Tower Suites has been transformed into a living tribute to this dynamic woman of history. The Molly Brown Suite is magnificently appointed with family photos, memorabilia, and period furnishings. 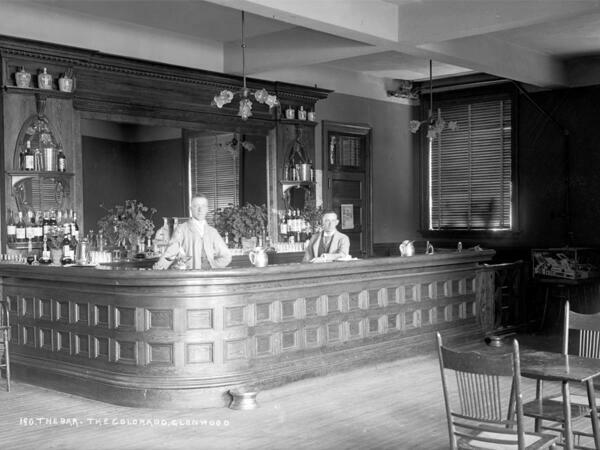 In 1905, Hotel Colorado became the temporary home for the President of the United States and his assistants during a three-week bear hunting expedition. Already a fan of the state of Colorado, Roosevelt stayed at the Hotel Colorado on multiple occasions. On a three-week trip in January 1901, the then-Vice-President hunted mountain lion on the Keystone Ranch near Meeker. It was reported by his guide that Colonel Roosevelt hung over a cliff to shoot a wounded lion between the eyes. Roosevelt’s first trip to Glenwood Springs delighted him so much that he returned year after year. According to legend, the world’s most irresistible toy, the teddy bear, received its birth at Hotel Colorado. To cheer Theodore Roosevelt after an unsuccessful day of hunting, Hotel Colorado maids presented him with a stuffed bear pieced together with scraps of fine material. Later, when he did bag a bear, his daughter Alyce admired it saying, “I will call it Teddy.” The term caught on and became the name for the world’s most popular toy, the Teddy Bear. We invite you to join us in Legends Trading Company to see the latest Teddy Bear collectibles. During the roaring ’20s, Hotel Colorado became an attractive playground for Chicago gangsters such as the Verain Brothers, Bert and Jack (alias Diamond Jack Alterie). Armed with gun belts, Diamond Jack Alterie wore flashy diamonds in rings, shirt studs, watches, and belt buckles. Cloaked in bodyguards, these big spenders arrived at the Hotel Colorado via large Lincoln convertibles.